My name is Martin Minařík and I am a PhD student in Robert Cerny’s lab at Charles University in Prague, Czech Republic. 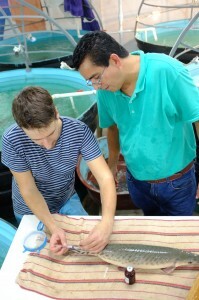 Our lab focuses mostly on the development of non-teleost fishes, namely bichirs, sturgeons, and gars. The advantage of having these animals as model organisms is that their breeding seasons alternate throughout the year, so that we can always focus on one species at a time. Thus, while bichirs and sturgeons keep us busy during winter and spring, respectively, the gar season spans throughout the summer. 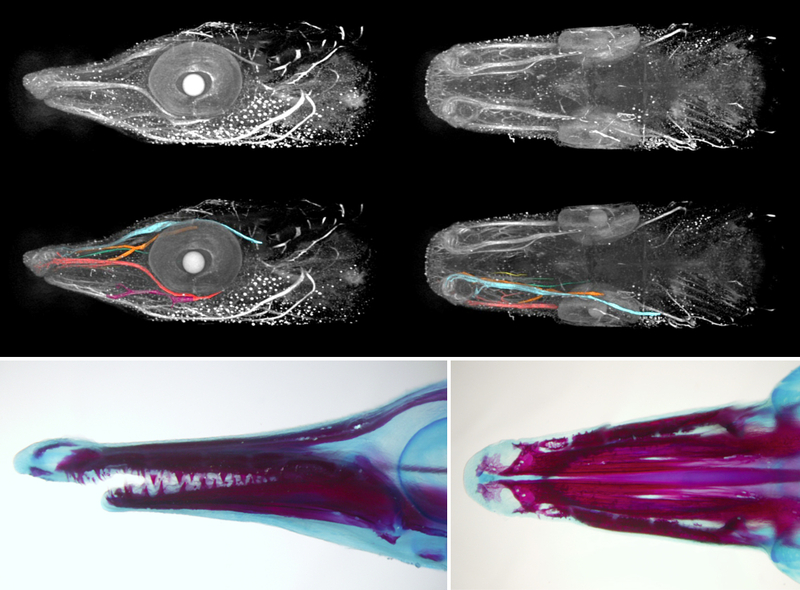 Unlike zebrafish and medaka, gars did not undergo the teleost-specific genome duplication, rendering them a suitable model for approximating the ancestral ray-finned genome. 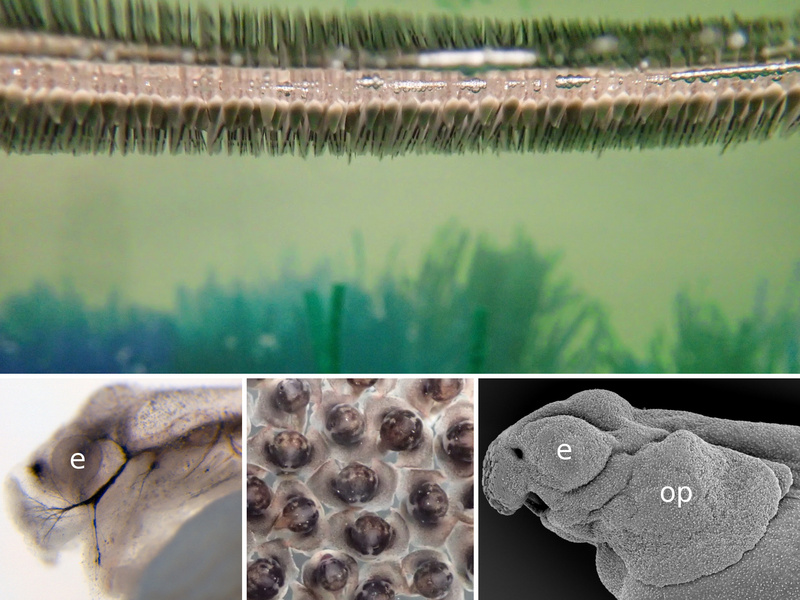 The same holds true for a variety of phenotypic traits that have been lost in teleosts, ranging from the amphibian-like mode of gastrulation through the thick, enamel-covered ganoid scales to the asymmetric tailfin. Recent years have therefore seen a revival of gar research, with the genome of the spotted gar (Lepisosteus oculatus) being available since 2011. While the spotted gar is reasonably accessible both in the wild and in the pet trade, it has rather slow generation time with females starting to spawn in their fourth year of life. The tropical gar (Atractosteus tropicus), on the other hand, reaches sexual maturity within the first (males) or second (females) year. 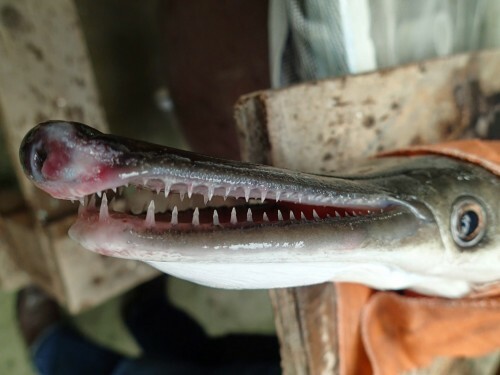 Moreover, for some reason the tropical gar meat is popular in one particular place in the world – the swampy state of Tabasco, Mexico. The local aquaculture facilities produce millions of eggs each year to sustain the wild stocks thriving in the lakes around the city of Villahermosa, making it the ideal place to reach vast quantities of embryos suitable for wide variety of experiments. The fact that gars are being bred down in the Mexican tropics is a mixed blessing. Of course travelling each summer to the land of cocoa and iguanas is extremely exciting for a Central European. On the other hand, it brings some difficulties, too. The first is the working temperature, with the spawning room heated up to 40°C. It gets better in the lab, where the temperature is set to 28°C, which represents a compromise between the long-term survival of the researcher and the embryos. The typical day starts in the hatchery by injecting the fishes with hormones. 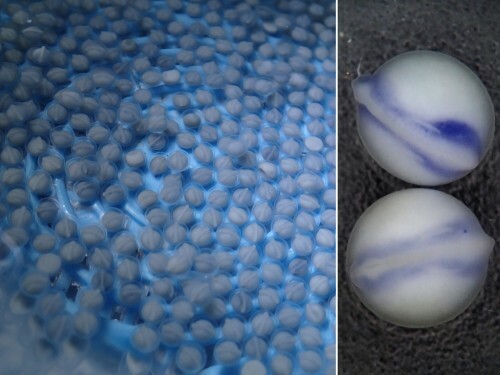 Once spawning behaviour is detected in females, they have to be anaesthetized and spawned manually to avoid releasing the adhesive eggs to the artificial vegetation. 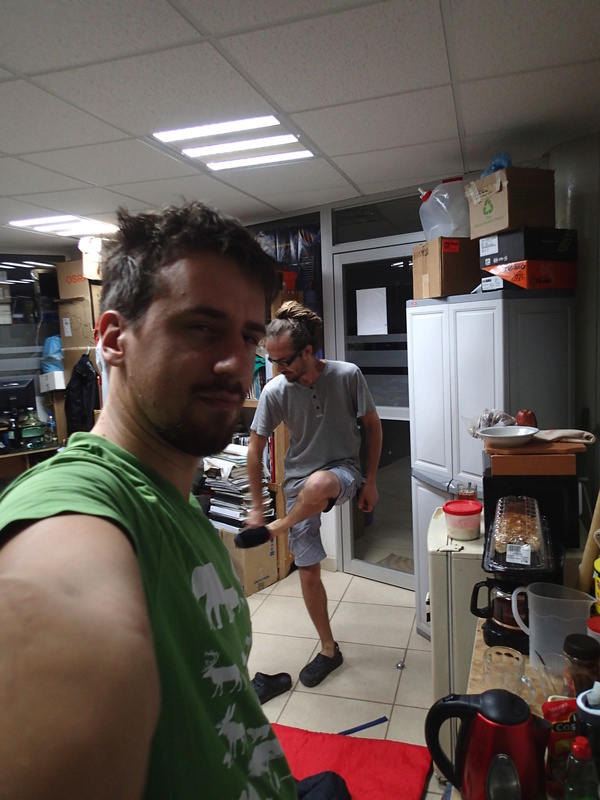 It means that sometimes we have to wake up every hour or two during the following night and check the tanks. This gets particularly annoying at the beginning of rainy season, as the ten-metre passage from the lab building to the hatchery is enough to turn your skin into a mosquito banquet. Nowadays this is especially unpleasant, with dengue, chikungunya and zika hiding in mosquitoes’ salivary glands (a thick layer of repellent helps, but one has to be careful to not contaminate the tanks). Once we get the embryos, the work paces up. We have 24 hours until the neurula stage; the experiments have to be set up and the embryos dechorionated, which is kind of tricky in this fish. The outer membrane is soft and sticky, and it tends to bend inwards when broken so that it adheres to the embryo and tears it apart. To prevent this, one can steal some dried milk from the office and wash the eggs in a milky water to saturate the adhesive layer. Lenin, the lab PI, helps us a lot to get things ready on time. The easiest thing to do in a lab which is not equipped for a serious embryological work is to soak the embryos in selected inhibitors of key signalling pathways. They can also be easily injected with cell tracking dyes – there is no need for micromanipulator as the eggs are double the diameter of Xenopus’s. But if you are loading your needle from a drop of DiI in a saccharose solution, be careful to prevent ants from finding it. The smallest ones, called lelitas in Villahermosa, are difficult to notice, but when they spot the piece of parafilm, they immediately form a swarming highway to the sweet, fluorescent drop. You can run out of your cell tracking dye really quickly this way! For someone who is used to working with teleosts, the gar eggs are really different and fascinating. The embryo is sitting on a huge, empty archenteric cavity, which you can easily inject and visualise, simply with pen ink to start with. Soon it starts to develop prominent attachment glands which the larvae use to adhere to the surface of the water. They tend to aggregate in thousands, forming rafts in the tanks spanning tens of centimeters in diameter – it might sound counterintuitive, but their yolk is fairly poisonous so the clusters of larvae are probably less tempting for predators than it might seem at first glance. As the development proceeds, they grow large opercula, which make them look like tiny umbrellas. Living in extremely warm waters low in oxygen, they use this to generate a flow of water to the gills. The adult gars are kept in outdoor tanks together with tilapias on which they feed occasionally. The largest tilapias, however, are too big for them to catch, so from time to time it is necessary to eliminate them. The best way apparently is to make a tilapia barbecue. With loads of chilli and limes, of course. Meanwhile, our embryos develop to the desired stage. Thanks to the high temperatures it takes only four days until they hatch in the lab, or two days in the hatchery, respectively. Unfortunately, we have to wait with the analyses until we get back to Prague with our samples, so it might be hard to adjust the experiments sometimes, as we can only have a superficial look at the results in the aquaculture lab. However, working in tropical gar in the middle of Mexican swamps is indeed worth all the difficulties. Finding ways to combine the study of gar embryology with the culture of keeping this traditional fish species in Mexican aquaculture might be challenging sometimes, but the exchange of skills and ideas is beneficial for both parties. 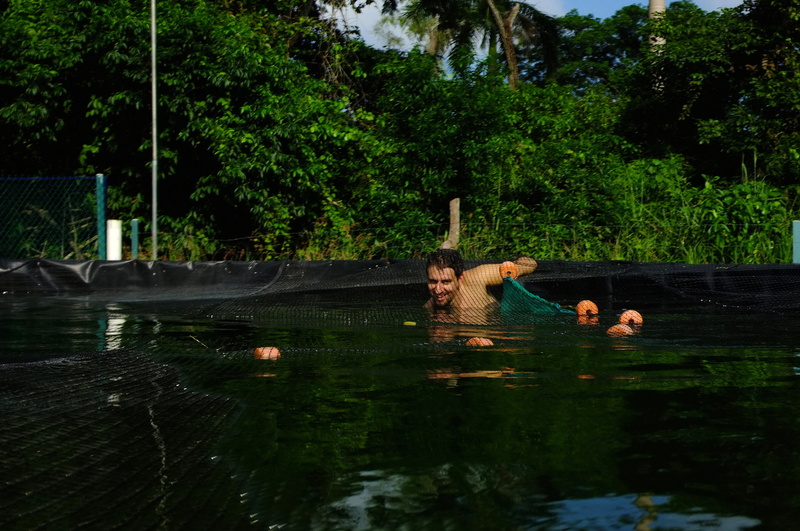 It is so refreshing to get out of the lab in Prague and jump into the warm fish tanks in Villahermosa to catch fishes for your own experiments! 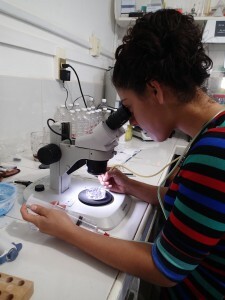 And as the collaboration tightens, we have also our first Mexican students visiting Prague, using sturgeon embryos to adopt techniques they could later use in their own gar projects. So hopefully this intercultural and interspecific enrichment will successfully continue. The whole process of the artificial fertilization in the Mexican gar in two minutes. 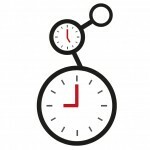 This post is part of a series on a day in the life of developmental biology labs working on different model organisms. You can read the introduction to the series here and read other posts in this series here.